The University of Dubuque Spartans men’s basketball program offers you the chance to experience and grow as a student-athlete to get the most of the opportunities faced while playing basketball as a Spartan. UD won the 2012-13 and 2014-15 Iowa Conference Tournament to earn its 5th and 6th trip in the NCAA Division III Championships. As a team member you will be part of a winning program, who will be competing for American Rivers Conference Champiosnhips. Join the team and prepare yourself to explore and develop skills needed to compete at a championship level. As a Spartan you will have the chance to travel around the United states competing in some very competitive tournaments during the season. Recent trips have included Colorado, Costa Rica, Florida, Hawaii, and Nevada. The American Rivers Conference announced the members of the 2018-19 All-Conference basketball team on Wednesday, naming UD men’s basketball players Marcus McDaniel and Avery Butler to the list. McDaniel received second team honors, with Butler grabbing honorable mention. After sweeping the regular season series over Loras, the UD men’s basketball team was bested by the Duhawks in the American Rivers Conference Tournament Semifinals, 93-78. It was the first ever postseason match-up between the programs. If you're interested in playing men's basketball at the University of Dubuque, complete the prospect form, and a coach will be in touch. 3 Ben Cash Guard 5-10 Freshman Pekin, Ill.
11 Deonte Newsome Guard 6-2 Senior Milwaukee, Wis.
12 Joshua Evans Guard 6-2 Freshman Dolton, Ill.
13 Cody Sanderson Guard 5-10 Freshman Fulton, Ill.
21 Mason Horton Guard 5-11 Sophomore Spring Green, Wis.
24 Marcus McDaniel Guard 5-10 Senior Roselle, Ill.
25 Wynston Wright Guard 5-9 Senior Bolingbrook, Ill.
30 Henry Thompson Guard 6-0 Junior Plainfield, Ill.
31 Timothy Pinsel Forward 6-3 Freshman Algonquin, Ill.
32 Luke Harper Guard 6-2 Sophomore Belvidere, Ill.
33 Peter Ragen Guard 6-3 Sophomore Orland Park, Ill.
34 Ben Monroe Forward 6-3 Freshman Moline, Ill.
45 Justin Smith Forward 6-5 Sophomore Bolingbrook, Ill.
52 Javion Caldwell Center 6-8 Freshman Chicago, Ill.
Basketball: First Team All-Conference, Second Team All-Metro. All-time school leader in assists. Played nine minutes over nine games. Saw action in two games. Scored a season-high 15 points on 6 of 8 shooting in one of his two starts ... totaled double-digit points in five games ... grabbed season-high six boards in win vs. Illinois Institute of Technology (12/29) ... knocked down 7 of season-high 10 free throws in win at Loras (2/6). Athletics: Iowa Newspaper Association Class 2A Second Team All-State, All-Wubstate team, River Valley Conference Elite team, Captain of all-Eastern Iowa team. Totaled three points in 20 minutes over five games ... made one three-pointer in season-high nine minutes in win at Buena Vista (2/3). Played 10 minutes over six games. Saw time in 11 games and 54 total minutes. Had 2 rebounds and 1 assist after playing 14 minutes in 6 games. Scored a season-high five points on 2-3 shooting in 14 minutes vs. UW-stout (12/8) ... pulled down season-best two rebounds vs. Elmhurst (12/12). Robbie Sieverding, the 17th head coach in the history of the program, was selected to lead the University of Dubuque men's basketball program in September of 2007. Prior to becoming Head Coach he served as an Assistant for the men's basketball program. During his time at The University of Dubuque the men's basketball program has made significant improvements in the highly competitive American Rivers Conference (formerly Iowa Conference) with two IIAC Tournament titles and one IIAC regular season title. Coach Sieverding led the 2015-16 team to a regular season Iowa Conference championship with an 11-3 record, which marked the first in nearly three decades. UD also won two Iowa Conference tournament titles and earned NCAA national berths in 2013 and 2015. The 2016 class left as the winningest class in program history with 84 total wins, including three straight 21+ win seasons and a school record 23 victories in 2014-15. During his 12 seasons at the University of Dubuque, Sieverding has coached 24 All-Conference players (1 back-to-back MVP, 2 Defensive Players of the Year, 13-1st Team, 11-2nd Team, and 6-Honorable Mention). He has also coached the league’s top scorer in seven different seasons and the league's top rebounder once. Sieverding earned his 100th win in his 6th season at the helm, making him the fastest coach in UD history to 100 wins. He also reached the 200 win milestone on January 12th, 2019 against Buena Vista. He currently sits second on the all-time wins list behind Coach Jon Davison who has 372 career wins. Sieverding is a native of Bellevue, Iowa, and attended Marquette High School. In the tri-states, Sieverding is among the all-time great scorers. He finished with 1,957 points and still has the record for most points in a game with 62 vs. Olin on Feb. 2, 1996. He was named Telegraph-Herald Player of the Year for the 1996-97 season. In 2014, Sieverding was inducted into the Iowa High School Basketball Hall of Fame. During his collegiate career, Sieverding played basketball at Marshalltown Community College from 1997-1998, and transferred to the University of Northern Iowa where he played from 1998-2002. He received All-Missouri Valley Conference honors in 2000 and 2002; along with finishing his career sixth on the UNI All-Time scoring list, as well as sixth on the UNI All-Time assist list in just three seasons. Sieverding received his Bachelor of Arts degree along with a coaching minor in 2002 from the University of Northern Iowa. He completed his Masters degree in Athletic Administration in May of 2007. He lives in Dubuque with his wife Erin and daughters Kylie and Jayda. Jordan Townsend is in his third season as the top assistant coach at the University of Dubuque. Townsend who played at the University of Dubuque and was part of the 2012-2013 team that reached the school’s first-ever Iowa Conference (IIAC) Tournament Championship game. During his playing career the Spartans finished 3rd or higher in the Iowa Conference each season and finished with a four year record of 74-36. Townsend was a Graduate Assistant at the University of Dubuque from 2013-2015. He helped the Spartans to 44 wins in those two years with a school record of 23 wins in the 2014-15 season. Townsend spent a year as the top assistant at Rockford University and helped them to their first winning season in six years. Townsend coached four all conference players while at Rockford and also was the recruiting coordinator. 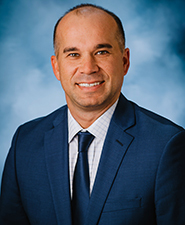 Townsend owns a Bachelor degree in Health and Wellness from the University of Dubuque and also earned his Masters of Business Administration in 2015. Townsend is a native of Moline, Illinois and currently lives in Dubuque with his wife Lauren. 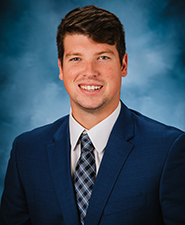 David Pederson begins his first year as a Men's Basketball Graduate Assistant at the University of Dubuque in the 2018-2019 season. Prior to coming to the University of Dubuque, Pederson was a Student Assistant Coach for the University of Northwestern-St. Paul's Men's Basketball team the past four years. While on Northwestern's coaching staff, Pederson was apart of two Conference Championship teams, and three trips to the NCAA National Tournament, including a trip to the NCAA Sweet 16 in 2015. Pederson has also been an AAU Head Coach for a Minnesota based program, Crossfire Basketball, the past three years. Pederson coached the 16U team in 2018 and his team spent most of the season in Minnesota's Top 25 AAU Team Rankings. 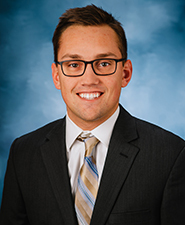 Pederson is a graduate from Northwestern, graduating with a Bachelor's degree in Communication, and will be pursuing a Masters in Communication while at Dubuque. The Spartan men's basketball team qualified for the first conference tournament since the 2015-16 season, after finishing the regular season 13-12 overall and 6-10 in the American Rivers Conference. In the first round of the A-R-C Tournament, the Spartans went on the road and upset the #3 seed, Wartburg Knights, 83-80. After sweeping crosstown rival, Loras, in the regular season by scores of 78-73 and 96-94 (overtime), the Spartans fell to Loras in the A-R-C Semifinals to end their season. After averaging 10.9 points per game in his junior campaign in 2017-18, Marcus McDaniel had a significant bump in his scoring average during his senior season as he led the Spartans in scoring with 16.1 points per game in 2018-19 to earn Second Team All-Conference honors. The senior guard from Roselle, Illinois, also dished out a team-high 2.7 assists per game. McDaniel played in and started all 27 of the Spartans games in the 2018-19 season, helping UD to an American Rivers Conference Tournament berth. To go along with the 27 starts, no other Spartan played more minutes than McDaniel at 29.0 minutes per game. In his first season at UD, Avery Butler grabbed Honorable Mention All-Conference honors. In just the second game of the year and the home opener, Butler went off for 39 points on 18-20 shooting in a victory over Greenville. The local product from Dubuque would go on to average 11.3 points per game, the second highest mark of any Spartan. Butler would also finish second on the team in rebounds with 6.7, just 0.3 behind team-leader, Michael Williams. The Spartans finished the 2017-18 season with a 15-10 overall record and 7-9 in the Iowa Conference. UD finished tied for sixth place in the IIAC but missed out on the IIAC Tournament after losing the tiebreaker to Central. Jamaree Atwater (Moline, Ill.) was named All-Iowa Conference for the second consecutive year. During the 2017-18 campaign, Atwater started all 25 of UD’s games and was second on the team with 17.6 points per game. Atatwer grabbed 146 rebounds over 25 games for a team-high 5.8 per game. The 5.8 rebounds per game put him seventh on the Iowa Conference list. Atwater also dished out 44 assists (1.8 per game), 15 blocks for eighth most in the conference and 12 steals. Behind consensus All-American and back-to-back Iowa Conference MVP, senior forward Andre Norris, and IIAC Coach of the Year, Robbie Sieverding, the University of Dubuque men’s basketball team won their first Iowa Conference regular season title since 1990 after posting a record of 18-8 overall, 11-3 in the Iowa Conference. Norris and his fellow seniors, G Alex Vogel, F Mitch Morrisey, and G Spencer Cooper ended their careers as the winningest class in school history with 83 wins and a combined three IIAC titles (2013 and 2015 IIAC tournament titles and 2016 IIAC regular season title). The Spartans finished 7-0 at home during IIAC play, including setting a Stoltz Sports Center attendance record of 2600+ fans in 81-66 win over Loras on January 27. UD completed the sweep of their rivals with a 77-62 victory on February 6. Norris was named All-American by four different media outlets after becoming UD’s fourth back-to-back Iowa Conference MVP and sixth overall. The Plainfield, Ill. native became the school’s all-time leading scorer with 1936 career points and was the first player to be named both conference MVP and defensive player of the year in the same season. He also played in National Association of Basketball Coaches (NABC) All-Star game in Salem, Va. comprised of the Top-18 seniors in Division III. Front Row: Lucas Ware, Spencer Cooper, Jacob Mohlis, Sean Mulhern, and Fred Calvert. Middle Row: Gage Heffernan, Brandon Ferguson, Tanner Hinck, Jeremy Ware, Andrew Murray, and Kain Arthofer. Back Row: Asst. Coach Carlos Pittman, Asst. Coach Lee Piccinelli, Head Coach Robbie Sieverding, Tyler Ware, Tanner Cooke, Andre Norris, Spencer Bronson, Christopher Moragne, Jake Weber, Mitchell Morrisey, Asst. Coach Jordan Townsend, and Asst. Coach Dustin Bierman. DUBUQUE, Iowa – History repeated itself after Iowa Conference MVP Andre Norris and the Spartans won their second IIAC Tournament Title in three years after finishing 23-6, 10-4 IIAC. The tourney title vaulted them into the NCAA Division III National Tournament for the sixth time in school history where they fell to Illinois Wesleyan in the first round, 72-53. UD fired on all cylinders during its IIAC run to the title. The No.3 seeded Spartans defeated No. 5 Wartburg in the IIAC Championship, 81-73, after UD jumped out to a 7-0 lead they wouldn’t relinquish. Norris, a junior, played lights out after ringing up 24 points, six rebounds, four assists, three steals, and three blocks to lead four Spartan starters in double figures. UD would take down No. 6 Luther at home, 92-74, in the opening round and pulled the upset on the road at No. 2 Coe, 71-59, in the semifinals en route to the title. Norris’ gaudy numbers were nothing new after he averaged 24.7 points. 8.0 rebounds, 3.0 assists, 3.0 blocks, and 3.0 steals in the three-game tournament run. The Plainfield, Ill. native guided the Spartans to a 10-4 IIAC record after leading the league in scoring (21.1) and blocks (1.57) while finishing Top-6 in six other categories. The seven-time IIAC Men’s Basketball Player of the Week was also tabbed Honorable Mention All-American by D3hoops.com, All-West Region by D3hoops.com, and NABC All-West District. Norris secured two IIAC Men’s Basketball Player of the Week awards while senior Gage Heffernan won one. Norris snagged one during non-conference play and once during conference play and Heffernan won for his MVP performance in the Colorado College tournament early in the season. With Norris and Heffernan’s consistent production and the Spartans cohesiveness, UD won 21 or more games for the third straight season as the seniors went out as the winningest class (83 wins over four years) in school history. Each senior starter garnered All-IIAC attention as Gage Heffernan (14.2 ppg, 6.4 rpg, 3.4 apg, 2.1 spg during IIAC play) received First Team honors, Lucas Ware (13.3 ppg, 6.8 rpg) captured Second Team honors, and Brandon Ferguson (8.7 ppg, 3.3 rpg, 1.1 spg) was named the IIAC’s Defensive Player of the Year. Ware was a force during IIAC play after nearly doubling his non-conference scoring and rebounding averages. The senior point guard out of Platteville, Wis. recorded double-digit scoring in the last seven regular season games and exploded for a career-high 26 points in 105-62 rout of Central. Ware and the Spartans grinded through a 2-2 IIAC start after rolling in with an 10-1 non-conference record, but took advantage of a pivotal road win at Luther, 68-65, to springboard UD into the rest of the conference season. UD would go on to win seven of their next eight and set up a showdown with IIAC leader Buena Vista at home with the IIAC regular season title on their minds. The Spartans gave up control early and couldn’t recover as the Beavers shot 52.8% and canned eight threes in the first half to steal the victory on the road. UD handled Luther, 77-63, in the regular season finale to set up a rematch in the IIAC opening round. It was a whirlwind non-conference season for the Spartans after playing in six different states and three NCAA Tournament qualifiers in Concordia (Wis.), the University of Northwestern-St. Paul, and Elmhurst College (Ill.). UD won its lone home game, 95-85, over Clarke University. Heffernan was tabbed MVP and Norris earned his way on to the Colorado College Thanksgiving Invitational All-Tournament Team (Nov. 28-29). Norris and sophomore Jacob Mohlis were also named to the Carroll University Johnson Bank Tip-Off Classic All-Tournament team a week earlier (Nov. 15-16). UD went 4-0 combined between the two trips. The Spartans finished the non-conference slate with a 10-1 record and suffered its only loss at the hands of Elmhurst (Ill.), 98-93 in overtime, to snap the Spartans 8-0 start to the season. Norris and Mohlis, UD’s two returning starters, will gear up for another championship run in 2015-16. Norris, who scored his 1000th point this season and jumped up to 12th place on UD’s all-time scoring list (1322 points), will also be chasing the Spartans all-time scoring record of 1927 points. Front Row: Steven Whiting, Curtis Harrington, Sam Baldwin, Alex Bartausch, and Jacob Mohlis. Middle Row: Brandon Ferguson, Mark Preston, Chris Frazier, Alex Vogel, Mitch Michaelis, Spencer Cooper, and Kain Arthofer. Back Row: Head Coach Robbie Sieverding, Asst. Coach Jordan Townsend, Gage Heffernan, Andre Norris, Tanner Cooke, Mitchell Morrisey, Spencer Bronson, Erik Cewe, Jared Kuban, Tyler Ware, Asst. Coach Dustin Bierman, and Asst. Coach Lee Piccinelli. A hot 16-0 start paved the way towards a 21-5, 10-4 IIAC record and their seventh straight Iowa Intercollegiate Athletic Conference (IIAC) tournament berth. Coach Sieverding secured his 123rd victory and attained UD’s first Top 25 ranking since Jon Davison was head coach (1966-‘93). The Spartans ranked as high as #23 (D3hoops.com) in the country and were one of four remaining unbeaten teams (16-0). Unfortunately, UD’s IIAC tournament run was cut short after a first round upset vs. Luther, 87-83. The Spartans led by six at the break after shooting 61.3%, but cooled off in the second and were outscored by 10. First Team All-IIAC selection Andre Norris scored 21 points to go along with six rebounds and six assists while shooting 4 of 7 from three-point land. Departing senior Chris Frazier totaled 16 points on 4-for-9 three-point shooting and Gage Heffernan tallied 14 points. Both teams hit 12 threes but Luther held the advantage at the free throw line, 15-17, compared to UD’s 7-11. After a 21-1, 9-1 IIAC start that included five double-digit IIAC victories, the Spartans hit a rough patch and dropped three of their last four games by a combined nine points. UD would right the ship with a 72-66 win in their final regular season match against Luther, until the Norse exacted revenge in the IIAC tourney opener on February 27. Norris (18.2 ppg and 6.2 rpg), who led the team in scoring for 12 games, was a threat on both ends of the floor for the Spartans. Norris finished top-5 in four individual IIAC categories that included scoring (19.2 ppg), FG% (.520), 3FG% (.444), and blocks (1.21 bpg). Norris and Heffernan (led IIAC in steals at 1.69 spg) were defensive anchors for a team that paced the IIAC in scoring defense (68.5 ppg), field goal percentage defense (.405), and three-point percentage defense (.279). The three-point sniper, senior Frazier, ended up second in the IIAC with 36 three point makes and was also one of UD’s best perimeter threats defensively. Frazier concluded his career 13th on the all-time scoring list with 1188 total points. The Ironman missed just two games in his entire four-year career and earned three All-IIAC honors (2013-14 1st team, 2012-13 2nd, 2011-12 HM). The Heidelberg, Germany native finished the season averaging 13.7 ppg, 2.5 rpg, and 1.7 apg. Fellow senior Mitch Michaelis also finished his four-year career as UD’s 22nd 1000-point scorer and secured 17th place all-time in UD history with 1163 points. Michaelis led the team in scoring once and rebounding six times throughout the year. The two-time All-IIAC honoree (2012-13 2nd team and 2011-12 HM) averaged 8.2 ppg and 4.3 rpg. Front Row: Lucas Ware, Chris Frazier, Alex Vogel, Sam Baldwin, Isaiah Reeves, Spencer Cooper, and Ian Fluhler. Middle Row: Mark Preston, Malcolm Stewart, Brandon Ferguson, Caleb Konieczny, Mitch Michaelis, Dustin Aubert, and Mitch Morrisey. Back Row: Asst. Coach Taylor Blum, Head Coach Robbie Sieverding, Tanner Cooke, Tyler Ware, Jordan Townsend, Derek Griffin, Andre Norris, Erik Cewe, Uchenna Akuba, Miles Hookstead, Asst. Coach Dustin Bierman, and Asst. Coach Lee Piccinelli. The 2012-13 University of Dubuque Men's Basketball team finished the season with an overall record of 22-7 and finished in third place in the Iowa Conference at 9-5. The Spartans would go on to win the IIAC Tournament to earn a berth in the NCAA DIII Tournament. UD opened the IIAC Tournament with a 71-63 home victory over Simpson in the first round. Dubuque followed with a 64-61 semifinal win on the road at Buena Vista. UD returned home for the championship game with a 73-60 victory over Wartburg. The Spartans 22 wins set a new school record for wins in a season. Junior Chris Frazier (Guard) was named 1st Team All-Iowa Conference. Junior Mitch Michaelis and Freshman Andre Norris were selected 2nd Team All-IIAC. Frazier led the IIAC in three-pointers made with 75. Frazier also finished 10th in the NCAA in three-point field goal percentage at 44.6%. The Spartans finished first in the IIAC in several statistical categories including scoring defense (61.2 ppg), scoring margin (+8.7), FG defense (39.5%), turnover margin (+1.86), steals (204), rebounds (1,083), and home attendance (12,880). Miles Hookstead and Malcolm Stewart earned Academic All-Iowa Conference. Front Row: Tyler Skubal, Demetrius Singleton, Tyler Ware, Jordan Townsend, Mark Preston, Eric Jones, Mitch Michaelis, Cale Brown, and Miles Hookstead. Middle Row: Nolan Dunkirk, Lee Piccinelli, Chris Frazier, Cal Vigna, Asst. Coach Taylor Blum, Asst. Coach Dustin Bierman, Head Coach Robbie Sieverding, Asst. Coach Andre Rattray, Sam Baldwin, Kyle Husseman, Lucas Ware, and Brandon Ferguson. Back Row: David Kushnir, Ryan Tebbe, Ian McBrayer, Cord Hanson, Derek Griffin, and Tanner Cooke. The 2011-12 Men’s Basketball team finished the season with an overall record of 17-9 and tied for second place in the Iowa Conference at 11-5. The Spartans lost in the opening round of the IIAC Tournament. Senior Lee Piccinelli (Guard) was named 1st Team All-Iowa Conference. Sophomores Chris Frazier (Guard) and Mitch Michaelis (Forward) were recognized as Honorable Mention All-IIAC selections. Miles Hookstead earned Academic All-Iowa Conference. Front Row: Travis White, Kyle Huseman, Mitch Michaelis, Eric Jones, Taylor Blum, and Matt Poirier. Middel Row: Miles Hookstead, Malcolm Stewart, Chris Frazier, Joe Kelly, Asst. Coach Dustin Bierman, Head Coach Robbie Sieverding, Asst. Coach Andre Rattray, Mark Wilson, Cale Brown, Lee Piccinelli, and Mark Preston. Back Row: Wyatt Hanus, Cameron Cartee, Jordan Townsend, David Kushnir, Demetrius Singleton, Elijah Ejeh, Kurt Vavricek, and Ryan Tebbe. The 2010-11 Men’s Basketball team finished the season with an overall record of 17-11 and third place in the Iowa Conference at 9-7. The Spartans beat Central 64-44 the opening round of the IIAC Tournament and won the road at Coe 55-51 before losing in the finals. Seniors Taylor Blum (Guard) and Matt Poirier (Forward) were named 1st Team All-Iowa Conference. Blum is the 5th Spartan in UD Men's Basketball history to earn First Team All-IIAC three times. Wyatt Hanus, Miles Hookstead, and Malcolm Stewart all earned Academic All-Iowa Conference. Front Row: Peter Rodriguez, Mark Wilson, Austin Gorsh, Christopher Kerr, Elijah Ijeh, Josh Bellaire, Dan Slowik, Lee Piccinelli, and Taylor Blum. Back Row: Asst. Coach Tyler Daugherty, Asst. Coach Dustin Bierman, Jarvis Ragland, Matt Poirier, Travis White, Jordan Townsend, Omar Moreno, Jeremy Weaks, Marcus Watson, David Kushnir, Emmanuel Moore, Doug Lillibridge, and Head Coach Robbie Sieverding. The 2009-10 Men’s Basketball team finished the season with an overall record of 18-9 and tied for third place in the Iowa Conference at 10-6. The Spartans beat Cornell 58-57 the opening round of the IIAC Tournament before losing in the semifinals. Junior Taylor Blum (Guard) was named 1st Team All-Iowa Conference. Senior Josh Bellaire (Forward) was selected Second Team All-IIAC. Jeremy Weaks earned Academic All-Iowa Conference for the third time. Front Row: Michael Taylor, Desmond Bradford, Elgin Rich, Dan Slowik, Ryan Tebbe, and Matt Brinkerhoff. Middle Row: Asst. Coach Carlos Pittman, Taylor Blum, Brian Niesen, Mark Wilson, Austin Gorsh, Nick Walusayi, David Kushnir, Josh Bellaire, Asst. Coach Jon Davison, and Dan Essman. Back Row: Asst. Coach Dustin Bierman, Head Coach Robbie Sieverding, Marcus Watson, Demarvis Russell, Travis White, Chris Jetter, Jeremy Weaks, Michael Okpalaeze, Michael Peek, Matt Poirier, Ben Schreen, and Asst. Coach Justin Lettenberger. The 2008-09 Men’s Basketball team finished the season with an overall record of 14-12 and tied for fith place in the Iowa Conference at 7-9. The Spartans lost in the opening round of the IIAC Tournament. Sophomore Taylor Blum (Guard) was named 1st Team All-Iowa Conference. Senior Michael Okapaleze (Center) and junior Josh Bellaire (Forward) were selected Honorable Mention All-IIAC. Brian Niesen and Jeremy Weaks each earned Academic All-Iowa Conference. Nieson and Weaks also earned NABC Honors Court recognition. Front Row: Brian Niesen, Brett Schoenberger, Elgin Rich, Dan Vashinko, and Austin Gorsh. Middle Row: Darryl Watkins, Matt Poirier, Ben Schreen, Jay Wagoner, Travis White, Ken Klinner, Tyler Daugherty, and Dan Essman. Back Row: Asst. Coach Carlos Pittman, Head Coach Robbie Sieverding, Marcus Watson, Joshua Jones, Jeremy Weaks, Matt McDonald, Dre Porter, Michael Peek, Jesse Towles, Asst. Coach Justin Lettenberger, and Asst. Coach Marty Marshall. The 2007-08 Men’s Basketball team finished the season with an overall record of 14-12 and fourth place in the Iowa Conference at 8-8 for first year head coach Robbie Sieverding. The Spartans beat Central 91-82 in the opening round of the IIAC Tournament before losing in the semifinals. Senior Tyler Daugherty (Guard) was named 1st Team All-Iowa Conference. Freshman Taylor Blum (Guard) was selected Honorable Mention All-IIAC. Daugherty also earned 3rd Team D3hoops.com All-Region. Jeremy Weaks earned Academic All-Iowa Conference. Front Row: Asst. Coach Carlos Pittman, Josh Kueter, Landon Lederman, Sean Picha, Dan Essman, Austin Gorsh, Mike Harrington, and Shane Mangrich. Back Row: Asst. Coach Robbie Sieverding, Asst. Coach Levi Burkett, Marcus Watson, Kenny Klinner, Jeremy Weaks, Jonathan Moore, Matt McDonald, Michael Peek, Joshua Jones, Norris Langford, Nick Thomas, Tyler Daugherty, Head Coach Marty McDermott, and Student Asst. Josh Gasser, and Asst. Coach Marty Marshall. The 2006-07 Men’s Basketball team finished the season with an overall record of 11-14 and seventh place in the Iowa Conference at 5-11 for first year head coach Robbie Sieverding. Junior Tyler Daugherty (Guard) was named 1st Team All-Iowa Conference. Senior Nick Thomas (Forward) was selected 2nd Team All-IIAC. Daugherty led the IIAC in scoring at 20.7 points per game while Thomas finished third with 18.5 ppg. Thomas led the league in steals per game for the third straight year with 2.40. Front Row: David Gonzalez, Jimmy Stowlman, Delwyn Borntrager, Dionicio Olalde, James Scott, Quinton Beasley, Shane Mangrich, and Marcus Carson. Back Row: Asst. Coach Robbie Sieverding, Asst. Coach Carlos Pittman, Tyler Daugherty, Norris Langford, Garth Reid, Michael Peek, Jonathan Moore, Head Coach Marty McDermott, Andrew Fisch, Luke Stotmeister, Ryan Hahne, Nick Thomas, Asst. Coach Marty Marshall, Adam Kronfeldt, and Asst. Coach Dustin Bierman. The 2005-06 Men’s Basketball team finished the season with an overall record of 14-10 and seventh place in the Iowa Conference at 6-10. Junior Nick Thomas (Forward) was named 1st Team All-Iowa Conference. Sophomore Tyler Daugherty (Guard) was selected 2nd Team All-IIAC. Thomas repeated as the IIAC leader in points per game at 20.0 and steals per game with 2.55. Front Row: Tyler Daugherty, Mike Hardyman, Luke Stotmeister, Justin Bohl, Nick Thomas, Patrick Neudegger, Nick Boyd, Levi Burkett, and Brad Felderman. Back Row: Head Coach Marty McDermott, Student Asst. Josh Gasser, Matt Lux, Mike Taylor, Dan Wise, James Scott, Brad Deery, Michael Stretton, Asst. Coach Dustin Bierman, Asst. Coach Robbie Sieverding, and Asst. Coach. The 2004-05 Men’s Basketball team finished the season with an overall record of 11-14 and fifth place in the Iowa Conference at 6-10. The Spartans lost in the opening round of the IIAC Tournament. Sophomore Nick Thomas (Forward) was named 1st Team All-Iowa Conference. Thomas led the IIAC in scoring at 25.6 points per game and with 2.80 steals per game. Thomas was also named Third Team D3hoops.com All-Region as the finished seventh in Division III in points per game and 11th in steals per game. Levi Burkett and Matt Lux each earned Academic All-Iowa Conference. Front Row: Norris Langford, Vincent Hudson, Marlon Griffin, Andrew Fisch, Jason Watlington, Greg Mitchell, Travis Lambright, and Nick Thomas. Middle Row: Student Asst., JD Henderson, George Toles, Ronny Weihmann, Matt Lux, Levi Burkett, Stephen Dobler, Michael Stretton, and Student Asst. Back Row: Asst. Coach Dustin Bierman, Head Coach Marty McDermott, and Asst. Coach Robbie Sieverding. The 2003-04 Men’s Basketball team finished the season with an overall record of 9-19 and ninth place in the Iowa Conference at 2-14 for first-year Head Coach Marty McDermott. Senior JD Henderson (Guard) was named Second Team All-Iowa Conference. Senior Marlon Griffin (14.2 points per game), Freshman Nick Thomas (14.0 ppg), and Henderson (13.7 ppg) all averaged double figure points per game. Henderson led the IIAC with 165 assists (6.60/game). Griffin led the league with 128 defensive rebounds (5.12/game).